Pandemonium broke in Chibok community, Borno state today after a Nigerian Army Staff Sergeant, Silas Ninyo (93NA/36/2608), shot dead one Captain T. Mani, who tried to stop him from beating innocent civilians in Chibok, Borno State. The erring staff sergeant shot four other persons dead before taking his own life. 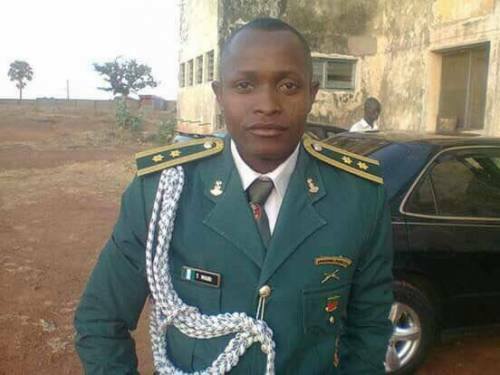 According to reports, Captain T. Mani (N/14430), and a few other soldiers were providing security for worshippers during today's Sunday service in Chibok when he received a distress call that Staff Sergeant Ninyo was beating civilians for unknown reasons. Captain Mani immediately led some soldiers to Chibok so they could stop him. However, the erring soldier shot dead Captain Mani who tried to disarm him. 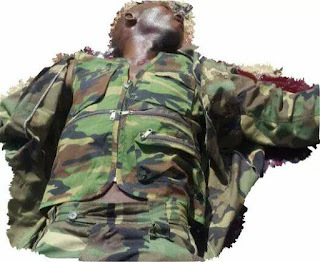 Staff Sergeant Ninyo later shot himself dead after killing four others. The remains of both soldiers have been deposited at a military hospital in Yola, Adamawa state.